February 26 2019, 6:00 p.m. to 7:00 p.m. 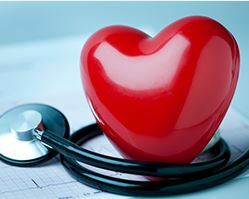 Whether you’ve suffered a heart attack or someone you love is living with heart disease, there’s heartening news when it comes to cardiovascular treatment. Join Drs. William Frauenheim and Gregory Bernath to learn about medication, lifestyle modification and the latest cardiac procedures. Due to limited seating, please RSVP for this free event. Free blood pressure screenings will take place 30 minutes before the event and immediately following the event. Can’t make it to Health Pointe on Feb. 26? Holland Hospital is hosting the same event on Feb. 13 from 6 p.m. to 7 p.m. sign up at hollandhospital.org/events.